This has been quite a week. I didn't get Monday Musings written last week as we were in full-on Hurricane prep mode. And this Monday, I am doing my musings in a hotel room in Charlotte, 200 miles from our water-logged and hurricane-ravaged hometown of Wilmington. We took my parents, their dog and our pets and rode out the hurricane in comfort while our friends who stayed behind dealt with hurricane force winds, two feet of rain, tornadoes, fallen trees, collapsed roads and power outages. The sewage treatment plant failed during the hurricane, releasing raw sewage into the river which is now overflowing its banks. And as if all that wasn't enough, Wilmington is now fairly cut off from the rest of the world. One of the attractions of our small town is that it is bordered on one side by the Atlantic Ocean and on another side by the Cape Fear River. So, under the best of circumstances, there are only 2 ways in and out of the city. Sadly, as a result of all the rain and flooding, many of those roads are underwater or have washed away. Essentially, Wilmington is now an island without reliable bridges. Yes. That’s an I-40 sign. The I-40 onramp at Gordon Rd is completely flooded in Wilmington. #Florence. Brian Christiansen, Fox 46 Charlotte. As much as we want to get back home and begin the cleanup process, not only do we not want to put our lives at risk, but we realize that if we were to get stranded, we would need the help of our already stretched-thin rescue personnel. And as I mention those already stretched-thin rescue personnel…they are heroes, each and every one of them. Most of them left their homes and families to go out in the storm and its aftermath to help complete strangers. Buses, trucks, boats, helicopters are trying to make their way to Wilmington to assist in the recovery efforts. Right now we are a nation seemingly filled with angst, but at times like this, no one cares what your political leanings are…it's all goodness. Residence Inn by Marriott accepts pets…well at least everyone I looked at. This hotel is booked solid and most are folks like us fleeing the hurricane. I love that they realize that our pets are our family. Kudos to Residence Inn! And I've got to add that for a hotel, that is at capacity and with at least 50% of the rooms being inhabited by at least one 4-legged creature…it is remarkably quiet…all the owners are doing a great job of keeping their furbabies managed. Pottery Barn has their pumpkin pillows on sale…if your home needs a bit more fall inspiration. My friend Maureen has a recipe for Caramel Irish Cream Hot Chocolate that looks delicious. The perfect cap for a day walking in the woods. And just saying, these cider doughnuts might just pair quite well with that hot chocolate. I am relatively new to this…but just bought my second jar. Both my daughter and I like how it makes our skin look and feel. And MUCH cheaper than a facial! But…I will warn you…with the recommended ACV, its a tad smelly. Tips for simple and lovely bedroom decor. I'm guessing I am not alone in needing these tips from time to time. Just ordered this thermos. I am bound and determined that Terry and I will hit the road and get some leaf sightseeing in and think I MUST have spiced cider in THIS thermos. I just love the retro look of it. And for what it's worth…the 25oz one is available on prime at a cheaper price than the 16oz one. Go figure! Thanks for spending a few minutes of your Monday with me. Please keep my small town and its residents in your thoughts and prayers. You can access all the products I refer to in all of my posts on my Nourish and Nestle Amazon Page. You can access it here. So glad you and your family are safe! What a traumatic experience. It’s great to hear the stories of how your community is pulling together ans supporting one another. Such a terrible time, but encouraging to hear stories of kindness. Thanks, Robin…it does seem that difficult times like this brings out the good in people. We are anxious to get back to not only see our home but to be able to pitch in alongside our neighbors. Hopefully by the end of this week! So sorry for all that has happened and your enduring. You sound quite well considering all your going through. It is wonderful to hear the community is so helpful. Keep your spirits up. Wishing you and family positive thoughts. Hi, Beth…thanks for your well wishes. We are really doing quite well and can’t complain. We are safe and dry…and pretty sure our home is in condition. Which is much more than many can say. And it warms my heart to see the community rallying around each other. No doubt we will be up and running in no time. Thanks for taking a few minutes to drop that kind note, my friend. Glad to hear that your two and four legged family are safe. We had a family reunion on North Topsail this summer and visited Wilmington for the first time. Such a beautiful area then and will be again but what heartbreak for so many. We can all hold each other up at the worst of times. There are flood relief donations in many of the stores here in Metro Deroit and I’m sure everywhere else. Thanks to you and your lovely Detroit friends. There are so many folks in need and all those donations will surely be a blessing to many. So glad you enjoyed your time in Topsail and Wilmington…it really is a lovely area and we will be glad to get back to it. That being said, we are blessed that we are all safe and very comfortable. Taking the opportunity to get to know Charlotte as we have spent very little time here…silver linings. Thanks so much for your kind note, my friend. Hi Lynn, Having our 2 daughters in Wilmington, we are well aware of the destruction from Florence and continue to worry about the river flooding. Both stayed even though we wanted them to come stay in Alabama. Actually one of our daughters is an ER nurse in Southport and since the hospital decided to keep the ER open she was there from Wednesday morning until Friday and by got back to her home in Friday, but had to leave her car . Her home was fine, no trees down except on her neighbors property. My other daughter lives off of Oleander @Independence mall, had about 10 trees down, but no damage to her home. I was very worried about them and praying constantly. Heard earlier that Southport roads are all under water and it’s beginning to flood by the hospital. You are right to stay safe in Charlotte until roads and conditions are improved. My thoughts and prayers are with all of you. Hope you parent’s place as well as your home are ok. Being from Louisiana, I know anxiety to the max as our home during Katrina had 21 tall pines and one large oak come down, miraculously none on our home. We did come to Alabama for several weeks, and when we returned home lived without power or water for almost 3 weeks. No fun! Just wanted to know I will keep everyone in prayer that flooding doesn’t get worse. Oh dear, I can only image how anxious you have been with your girls in the midst of it all. So glad that they are both safe. And you’ve been through Katrina! Wow…that was an experience!! So I guess your girls are pros at this hurricane mess. We are really blessed…believe our home is fine and we are safe and dry…with electricity. No complaints here. In fact, we are going to take advantage of spending some time getting familiar with Charlotte as we have spent very little time here. Thanks for your kind note, my friend. I know you will be happy to get back home. Know that the Edentonians are sending support, supplies and money to that area- for people and pets! There’s also a food truck from our area, Y’all Eat Yet?, which has already been down to join in feeding those in need and the responders. Much love to all of you! Hey there! Thanks to all those wonderful Edentonians…some of my favorite people live there! 😉 And I’ll look for that foodtruck if it’s still there when we get home. Have a great day dearest. Oh Carol, are you in Massachusetts? That was so scary!! 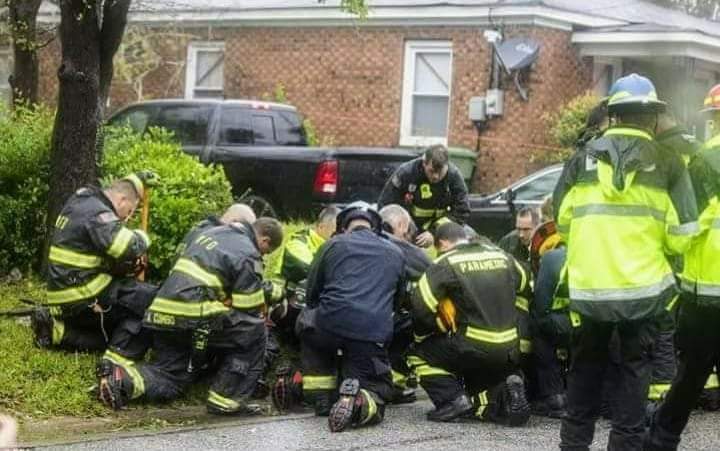 And yes…those first responders are true heroes! Looking forward to getting back home and taking some baked goods to my local fire station. I usually take some on 9/11, but we were busy packing and heading out of town last week on the 11th, so I owe them some anyway. Thanks for taking a minute to drop a kind line. Hi Cindy! Wow…we are twice neighbors! You are so very kind for your offer. I just told my husband tonight that we ought to head to the mountains and pick apples while we are here…do you have any recommendations? Any organic apple orchards that you know of? We have spent very little time in Charlotte, so it’s a good opportunity for us to explore the area. We do have friends that we haven’t seen in years, so will be going to their home tomorrow night. We are very much looking at this time as a bit of a forced vacation…guess we really can’t complain. I will certainly hit you up if I need more suggestions! Been wondering how you were doing – the last thing I saw of you on Instagram you were off to get your hair cut. I’m a believer that things happen for a reason and will continue to pray so that others can witness the goodness in others you have mentioned. The important thing if you’re safe because things can always be replaced. Hugs! Was that my last post…yikes!!! Like you, I am a firm believer that things happen for a reason…also a believer that we can’t always control our fate and have to learn to roll with what we might be dealt. In saying that, I am sensitive to the fact that we do believe our home is in good shape and that have a safe place to stay for the duration, so it’s easy for me to say that. I do get emotional when I witness the bravery of all our first responders…in fact, several are staying at our hotel here in Charlotte as they attend to folks closer to this part of the state. And things can always be replaced…we brought very little with us…pretty much just our pets and a few necessities. Praying for you and your family and friends from Southeast Texas! Glad you’re safe. Humanity and kindness come to life during these times. So thankful for that. So very true Amy, Humanity and kindness do seem to shine at times like this. I know that you know that, experiencing what you experienced last year. Truly, we are blessed in many ways…we are fairly certain our home is in good condition and we have a place to stay until we can get home. Thanks for all your well wishes my friend. Glad you are all safe. I hope your return home finds things to not be as bad as you may think. Love what you said about the Food Truck battalion to feed folks. Thoughts & Prayers for your travels back home when the time comes, and to having less to clean up than you may fear…as well as to others who are displaced, or in place, with this hurricane. Hi Billie…I guess I should’ve explained more about that jar of clay…it is an effective (but tad smelly) facial mask. Really minimized my pores and seemed to brighten my complexion. Thanks for all your well wishes. We do believe our home is OK…just a matter of getting to it. Without a doubt, there are many more in much worse conditions. So glad for the update Lynn! You are very wise to stat where you are for the time being. I cannot even imagine going through what your state is facing. I do appreciate you sharing my hot chocolate recipe too!! Stay safe my friend! Thanks, friend! So glad to share your delicious recipe! We have accepted that we will be here for several additional days…adapting the ‘it is what it is’ mentality. So happy to hear you are well and safe! So many have been displaced by natural disasters. My sister and her family were fleeing wildfires in Ventura and Santa Barbara, then mudslides and displaced to the Residence Inn in Goleta for nearly a month! Growing up on Long Island NY, as a kid , during several hurricanes, I remember the Peconic River flooding the entire south side of our town….Some animal carcasses and debris floating from the shores of Connecticut across the LI Sound. That kind of power is indeed humbling. Friends in Chocowinity are wondering when they can come home too. We will continue to pray for you all and help as we are able….disasters like this show you the goodness in the world. Thanks for honoring the rescue teams…they deserve it! Lynn, Wilmington was on Spanish TV and I am so happy to hear you are save and sound. Your hometown will get through this and I am sure you soon will be able to get through and be back at home. I can only imagine what it must be like leaving it all behind to evacuate, so sending over good thoughts and strength! Hang in there friend!!! We finally got back home, 10 days after we left. It was crazy and there are still surrounding areas that are flooding as we speak. In fact, the river in downtown Wilmington is flooding again this weekend. Our ground just doesn’t have room for all the water that Florence dropped! But, our home fared well…minor water damage that should be covered by insurance (fingers crossed). We have so many people who have come to town to help…it’s been awe-inspiring. Thanks so much for sending your thoughts, my friend. I am so sorry for you and your family. For all of North Carolina that was and is affected by this awful force of nature. I live in Dallas and last year as you know Harvey ravaged the southern parts of Texas. Praying for relief and miraculous recoveries for you all. We are home safe and sound. Our home has some minor damage from water, but nothing that can’t be repaired and should be covered by insurance. It truly was a force of nature, sadly, many around us are still dealing with flooding…in fact, the Cape Fear River is flooding again this weekend as a result of all the water that was dumped. I know that you in Texas are all too familiar with crazy weather! Just one of those things that those of us on the water need to prepare for. We welcome any and all prayers! Thanks for sending them my friend. We’re looking from Australia. Good luck to you all. Focus on the good. I believe most people in this world are good and kind. I hope you’re back home soon. Hi Kathryn, we are home and blessed that we were spared some of the damage that we witnessed on our way home. Our home suffered minor damage that insurance should cover. We worked in the yard the past 2 days…still have some to do…but the good news is that we won’t have many leaves to clean up this fall! My heart swells when I witness all the people helping others during this recovery…it’s truly been amazing. And people are good and kind, especially in times like this. Hugs to you on the other side of the world! I’m so sorry that you and family are not only stranded but also that you don’t know what you will find when you get home. We live on the west coast and have lived through two years of horrible fires. 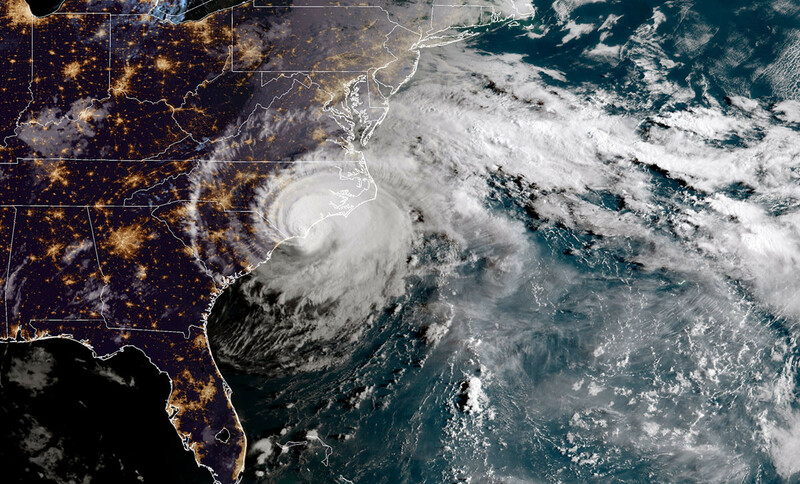 It seems that there is no place without some sort of natural disaster these days but when it affects someone you know ( you, friends in NC, and family in VA) it makes the situation so much more personal. Good luck to you and your family in these hard times and the unknown to come. We are HOME!!! And truly blessed that the damage wasn’t bad at all. Some minor repairs that insurance should cover. Lots of yard clean up to do…but…fewer leaves to clean this fall! Right?! You are right that everywhere has it’s ‘natural disaster’. We knew full well what the risks were when we moved here and our home was built to withstand the ravages of the wind. I would gladly risk these hurricanes than the fires out West! We have lived here for 16 years and this is the worst damage we have had and the first time we ever thought to evacuate. So, we really can’t complain. That being said, there are many in the surrounding areas who are still dealing with flooding, which continues even after a week! Thanks so much for stopping by and for your well wishes my friend. They are so very appreciated. You and yours are in my prayers. Thanks for continuing to share good things despite the current situation in your community. Thanks, Elly! We are own and doing some cleanup now…minor damage that will require someone with construction skills…but all in all, we are very lucky. Thanks for your prayers, my friend.